Did you know Taiwan has the largest number and density of high mountains in the world? I for sure did not! And this wasn’t the only thing about Taiwan that surprised me. I had no idea this little island used to be called ‘Ilha Formosa’, meaning ‘beautiful island’ in Portuguese. A fitting name though, Taiwan is beautiful indeed and really green! Even in the busy and modern capital Taipei, nature is just one MRT ride away. During our month in Taiwan I met some of the friendliest people of all my travels and I don’t say that lightly. When our rented electric scooter died on a steep hill in the middle of nowhere, the owner of our hotel came to our rescue. One of our Airbnb hosts showed us his favorite restaurant (and insisted on paying for us no less) where we had the best beef noodle soup of our 1 month Taiwan trip. The owner of a fruit stall kept giving us free fruit and drinks because we came back a couple of days in a row. In the map below you can find our Taiwan itinerary, at the end of the post you can download this map. 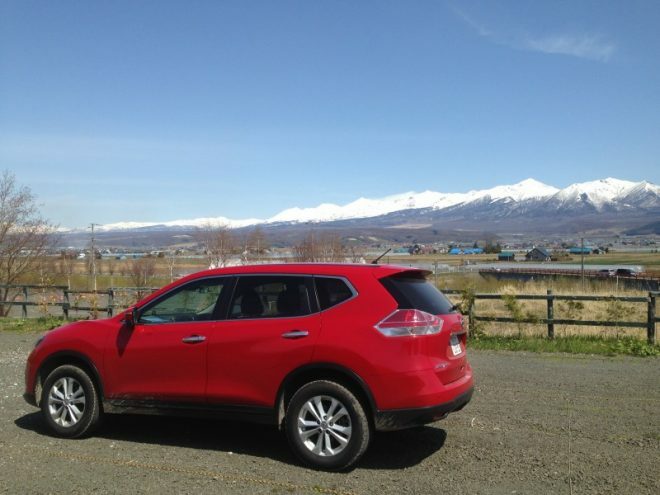 • I traveled with my husband; our trip started in Kaohsiung and ended in Taipei. Our Taiwan trip itinerary was 29 days in total. • We traveled around Taiwan by public transport (train, bus and MRT). In Kenting National Park and Hualien we rented a scooter. 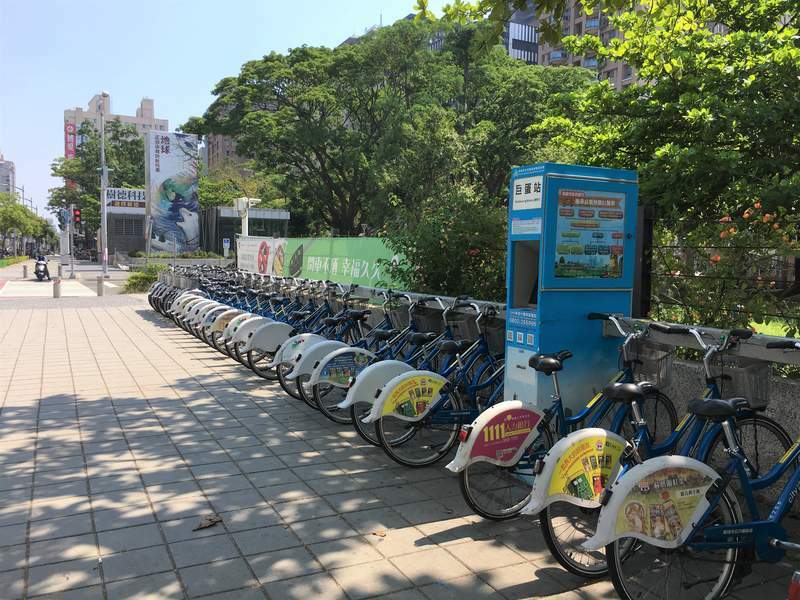 In Kaohsiung, Tainan and Taipei we used the public bicycle rental systems to get around. • If you want to know more about the costs of our Taiwan trip, check my budget breakdown. • You can find all the accommodations we stayed at (Airbnb and hotels) during our 1 month trip here. • I have written detailed guides for most places we visited in Taiwan, in these guides you can find detailed information about our day-to-day activities, transportation and accommodation. You can find the links to those posts in the itinerary below. Kaohsiung isn’t a well-known city, at least I had never heard of it before traveling to Taiwan. Of course that could also just me being ignorant… Anyway, Kaohsiung is the second largest city in Taiwan and this is where we started our trip. Check out my post about things to do in Kaohsiung. From busy Kaohsiung we traveled to green Kenting National Park, in the South of Taiwan. Fun fact: did you know there are 9 National Parks on this small island? Kention National Park is beautiful, the beaches are pristine and the empty roads through lush jungle make it the perfect place for a scooter road trip. An electronic scooter of course, very eco-friendly. Check out my post about things to do in Kenting. Our next destination was Tainan, the oldest city in Taiwan and one with a Dutch history which made it extra interesting for us (being from the Netherlands and all). Back in 1624, the VOC (Vereenigde Oost-Indische Compagnie or United East India Company in English) built Fort Zeelandia in Tainan and used the city as their ruling and trading base. Besides the Dutch Fort there are many beautiful temples in Tainan. In fact, there are more Buddhist and Taoist temples in Tainan than in any other Taiwanese city! Check out my post about things to do in Tainan. Unfortunately it was raining during our entire stay in Taichung. We made the most of it though and went to the movies, ate wood-fire oven pizza and hung out in cute cafes. The Sun Moon Lake is the largest lake in Taiwan and a very popular place to visit. It sure is a gorgeous place, unfortunately the rain that found us in Taichung followed us to the Sun Moon Lake. We had planned to do lots of outdoor activities, like cycling around the lake and hiking up Mt. Shuishe. Instead, we spent most of our time in the Starbucks in Shuishe Village, running outside whenever the rain stopped for a brief moment to take pictures of the still beautiful looking lake. I loved Taipei! I’m not usually one for big cities for a long period of time, but I really enjoyed our time in Taipei. We spent 12 days there in total and still didn’t run out of things to do. What I loved about Taipei is how easy it was to find some green, there is so much nature just a subway ride away from the center. We hiked a mountain trail in the Maokong area and didn’t come across anyone else! 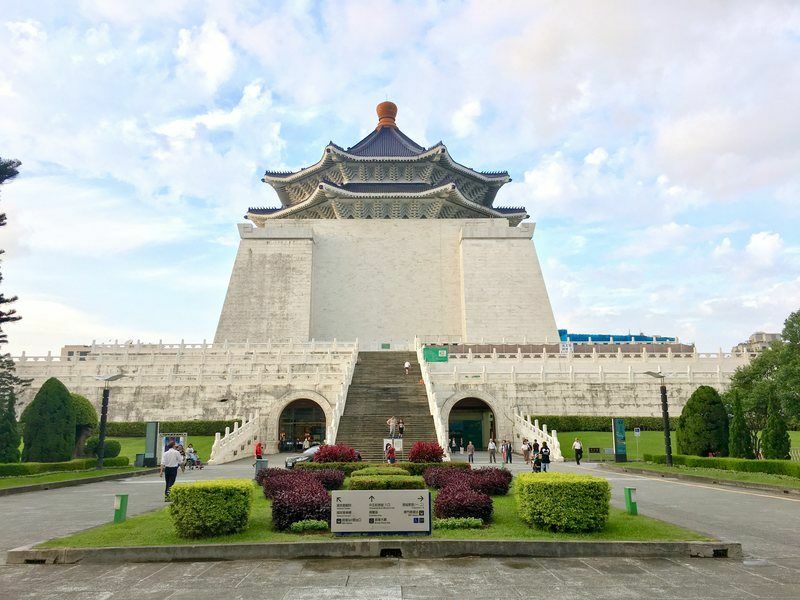 Check out my post about things to do in Taipei. The East coast was my favorite part of Taiwan and I have only seen a small section! 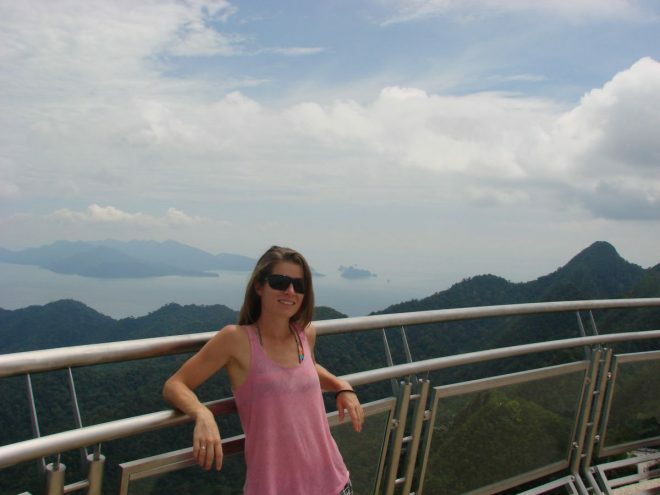 There are steep cliffs, a stunning blue ocean, marble mountains and green jungle. It’s much less populated than the rest of Taiwan, only 4% of the Taiwanese live on the East Coast. We spent 3 days in Hualien and used this relaxed city as a base to explore the famous Taroko Gorge and the area south of Hualien. Check out my post about things to do in Hualien. • Buy an get an iPass! 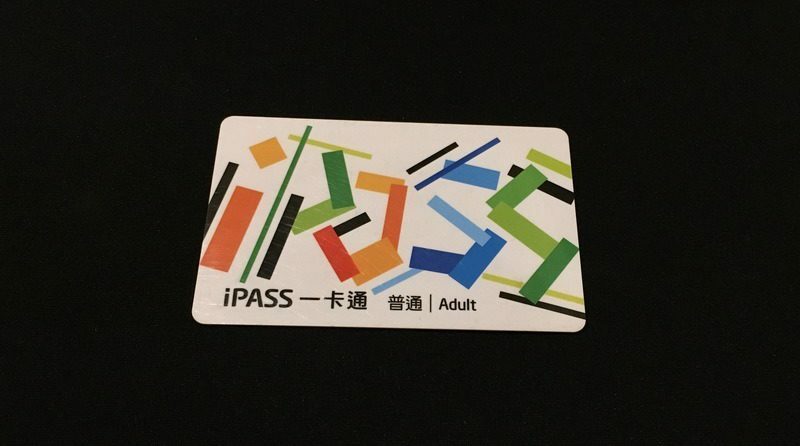 You can use this pass all over Taiwan to pay for transport (MRT, bicycles, bus, train, ferry, etc.). The pass gives you a discount on the transport fares and saves you the hassle of having to pay with coins. You can top up your credit in 7-11 and Family Mart (you can also pay with your iPass in these shops and several others). • Buy a tourist SIM-card at the airport. We bought a 30-day plan with unlimited 4G for only 1000NT (€30)! Imagine that, we could use unlimited data on all our devices (and we carry a lot of devices) for only €1 per day. We had reception everywhere, except in the tunnels on the East coast. • Be prepared to use Google Translate a lot. While the people in Taiwan are super friendly and always willing to help, I was surprised to learn that many Taiwanese don’t speak English. At all. They will still try to help you though and Google Translate makes it a lot easier. Public transport is excellent in Taiwan: it’s dependable and inexpensive. There is a large network of trains, buses and MRT lines (in Kaohsiung and Taipei). You can also take a taxi or use the public bicycle system in Taipei, Kaohsiung or Tainan. In the table below I’ve listed all the transport information (and fares) from our 1 month Taiwan trip. In the table below you can find the places we stayed at (only the ones I recommend!). I’ve also written a separate post about our accommodation in Taiwan with more details about the places we stayed at. If you have never traveled with Airbnb before you can get €30 of your first Airbnb stay with this link! I had a great time in Taiwan and hope this post will help you plan your trip to this wonderful little island. You can download the map and table with transport information below. If you have any questions, leave a comment or send me a message! Looking for more travel planning resources? Check out the Phenomenal Globe Travel Planning Library! Super itinerary here. I had no idea this land had that many mountains, although I feel captivated when enjoying any Taiwan photo with all the jungle and forests. It’s green-ness surprised me. For whatever reason, I always thought city-ish when dwelling on Taiwan because I associated this lush land with Taipei. After flying in nearly 6 years ago – when we started our world tour – I saw that even Taipei had quite a bit of green in the area, and some wet, tropical conditions too. It was a 24 hour layover on a trip to Bali so, being the first time I flew – yes, from JFK NYC to Bali – I just rested in to hotel, but I look forward to seeing more of this rocking place. I absolutely agree with you about the Taiwanese being friendly. We were in Taipei a few years ago and whenever we stopped on the street to look at our map we were soon surrounded by people offering to give us directions. They are such lovely people. I like your itinerary: not rushing through places and you allocated 3 days for exploring my favorite city in Taiwan – Tainan ;). We spent two months in Taiwan (living in Taoyuan close to Taipei). If it were up to me, I would stay there much longer. Taiwanese are the friendliest people on Earth. They were incredibly warm and helpful. Imagine, just walking on a street and start looking around – immediately someone would ask what are you looking for. Google translate is useful, as you mentioned since there are just a few locals who speak English. BTW, the high-speed train became my new favorite way of transportation. Thank you Elena:-). I loved Taiwan and Tainan, I can absolutely understand why you choose to live there for a while! Indeed, the Taiwanese people are so incredibly kind and warm… Just thinking about Taiwan makes me want to go back! Day 11: travel back to Kaohsiung/Taoyuan to catch flight (take a bus to Kaohsiung and a train to Taoyuan if that’s where your flight departs). I haven’t visited Alishan myself but seen beautiful pictures… I would also take the weather into account, when we were at Sun Moon Lake it was raining for 2 days straight and we couldn’t do all the outdoor activities we had planned. And as much as I liked Kaohsiung, if you are more of a nature person I would visit Kenting instead. Rent a scooter and explore the beautiful beaches! Thanks for the great information. This is the best description and current itinerary I have seen so far. Very informative! Thank your for post, it’s very useful! Taiwan looks really amazing.